HSBC’s Water Programme was present at Unesco’s Community Outreach activity in Xagħra Square. The HSBC Water Programme – Catch the Drop successfully promoted the message of water conservation and awareness during two Unesco-organised activities in Gozo. At Wied il-Lunzjata, the Unesco Education, Science and Culture Centre (ESCC) joined the rest of the international community in commemorating World Water Day, an annual event which aims to create awareness about the water crisis. The colourful programme included a variety of activities such as songs by students, positive messages, and an appeal by children to the country’s authorities. During the event, the ESCC also launched its first publication for children Mixja f’Wied il-Lunzjata (A walk in Lunzjata Valley), which was sponsored by the HSBC Catch the Drop Campaign. 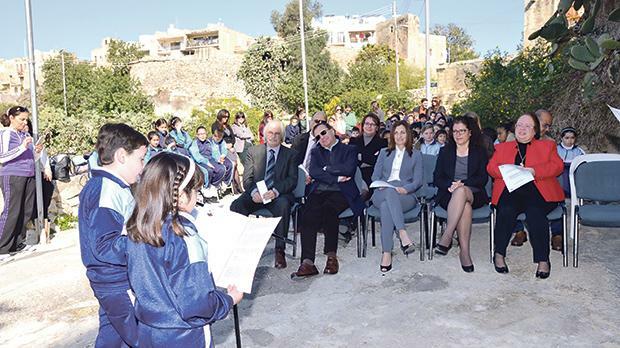 Catch the Drop also helped fund the second edition of Art Camp Malta, organised by the Maltese National Commission for Unesco and Unesco’s Associated Schools National Coordinator. This event saw 27 internationally-established artists take up residence in Gozo and exchange ideas as how to further reinforce the role of culture as an essential tool in sustainable education through art and promotion of peace.